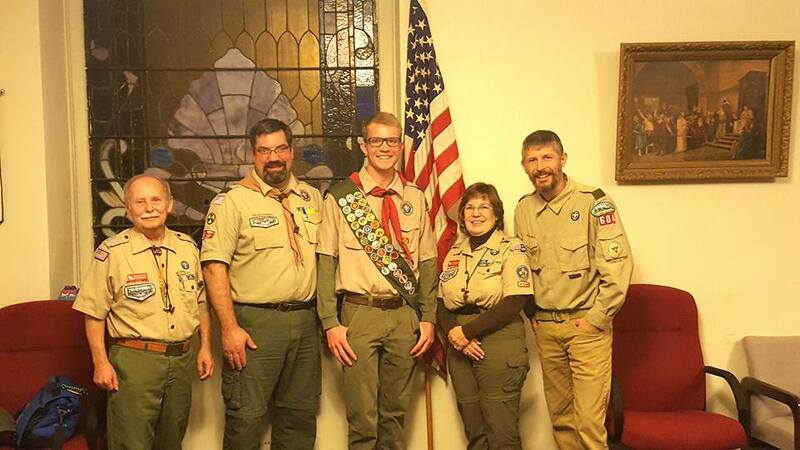 Troop 604 is proud to announce that George Beiderhake III has achieved the rank of Eagle Scout. The board unanimously approved George’s advancement the evening of January 15,2018 making him the first scout to achieve Eagle since 1969. We are honored to have watched George along his scout path incorporating its values into his life and helping others along the way. Congratulations George… once an Eagle, always an Eagle! We are so proud of you and wish you well on your future endeavors.